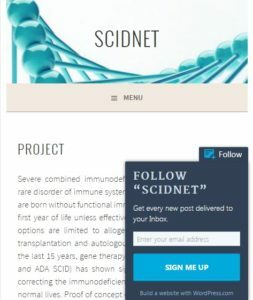 SCIDNET is an ambitious project, financially supported by the European Commission, aimed at developing genetic medicines for Severe Combined Immunodeficiency that can be licensed in the next 4 years. IPOPI is participating so as to represent the views of patients with primary immunodeficiencies (PIDs). The initiative led by Professor Bobby Gaspar (University College of London and IPOPI’s Medical Advisory Panel Chairman) benefits from the participation of 10 partners representing leading university hospitals, associations and Small and Medium Enterprises in Europe.